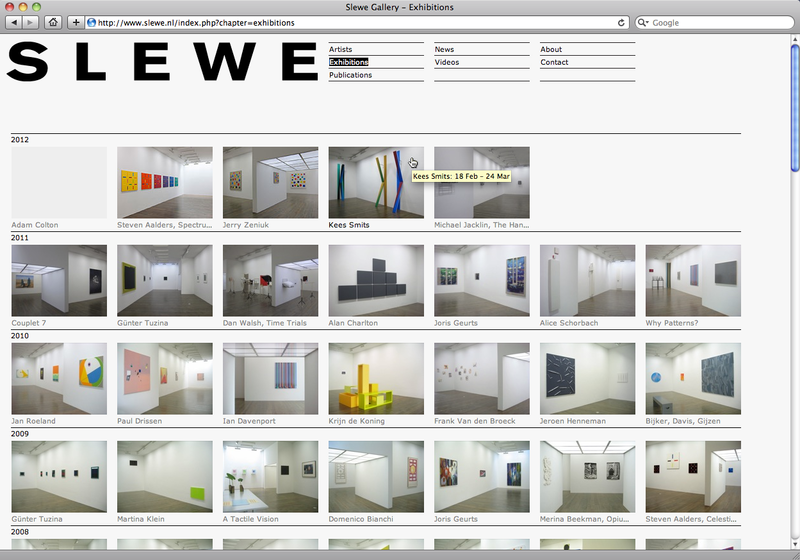 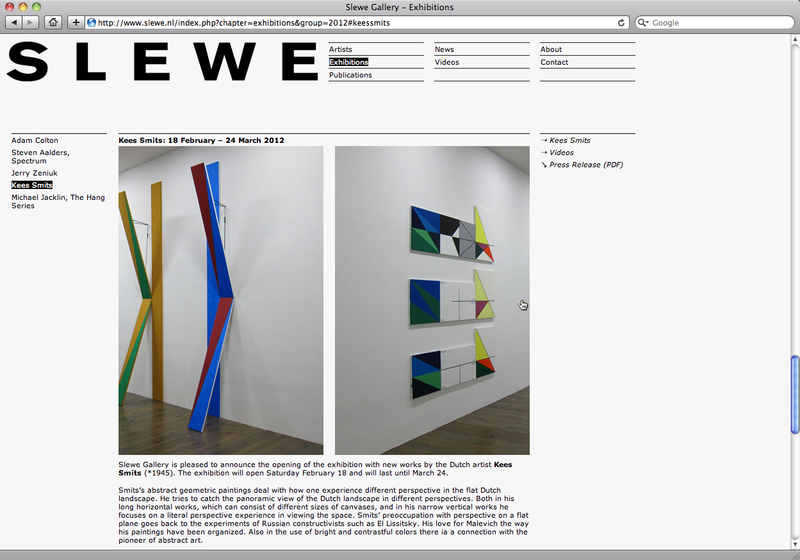 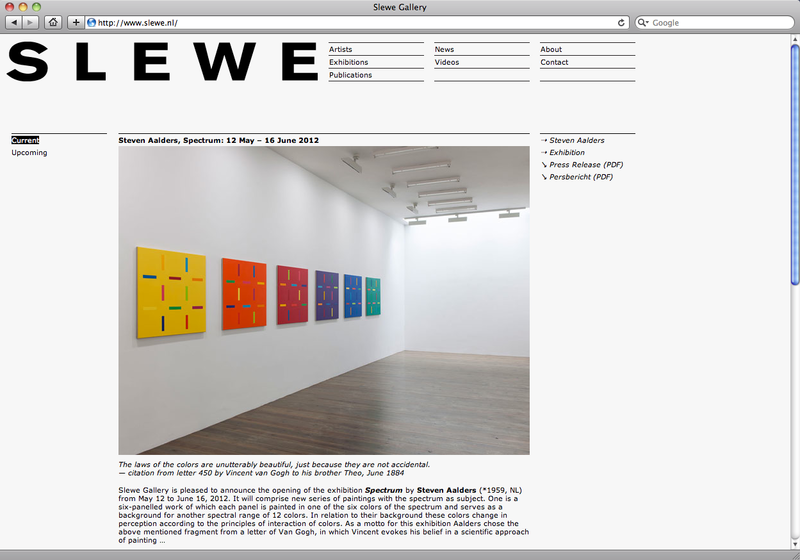 In May 2012 Slewe Gallery relaunched its website with many new and improved features. 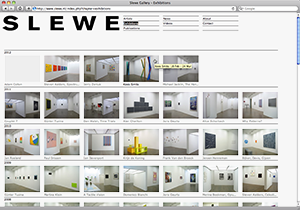 Now, it presents the enhanced content in the form of an extensive image archive and also provides new context-related information such as work samples, publications and video interviews. 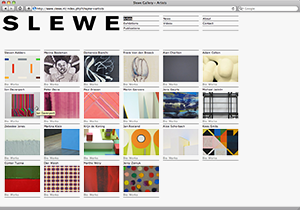 The fresh design focuses on the gallery’s complete exhibition history and includes extra news feed to stay informed on the recent activities of Slewe Gallery. 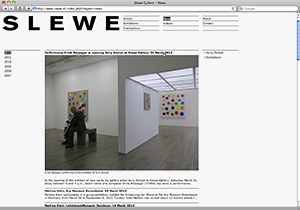 Press releases and biographical information about the artists are also on view online and available as download PDF. 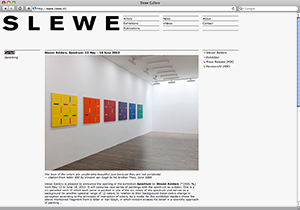 On the back-end, the site now runs on an extensive content management system which enables the administrator to easily add and update content. 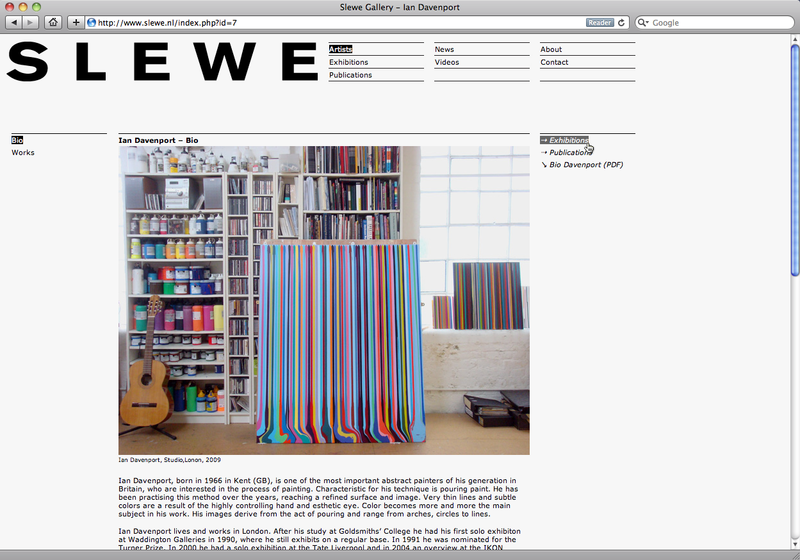 Please visit www.slewe.nl online now. 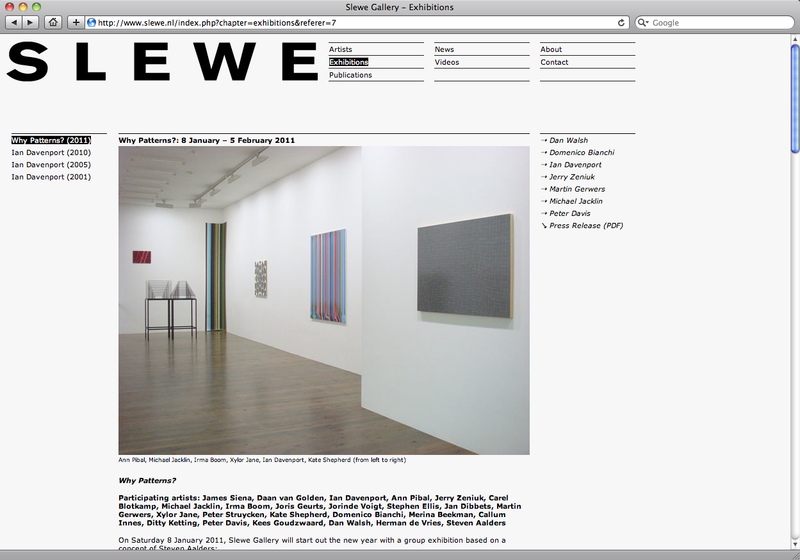 The opening page showcases always the current and upcoming exhibition. 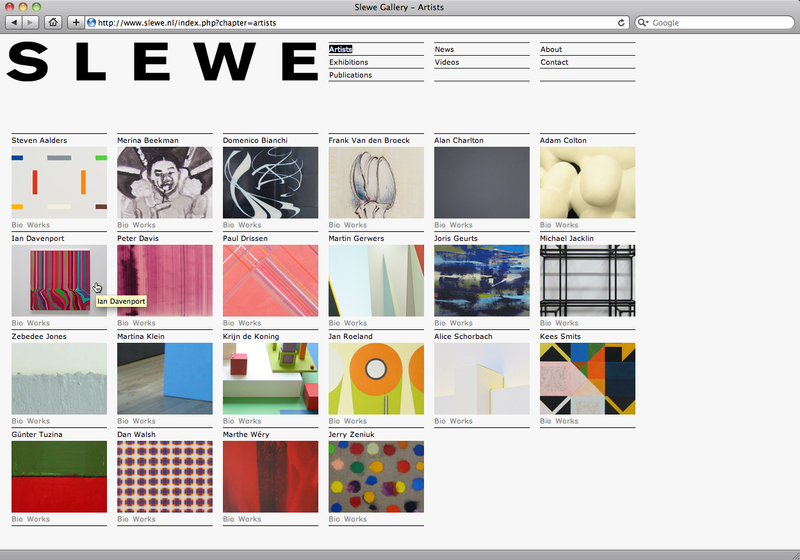 The overview of artists represented by the gallery. 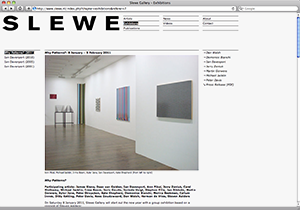 The individual artist’s page with biography and work samples. 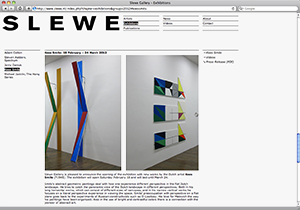 Exhibition (left navigation column) and artist pages (right navigation column) are cross-referenced. 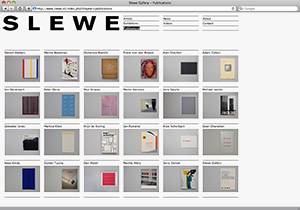 The exhibition chapter lists the complete exhibition history. 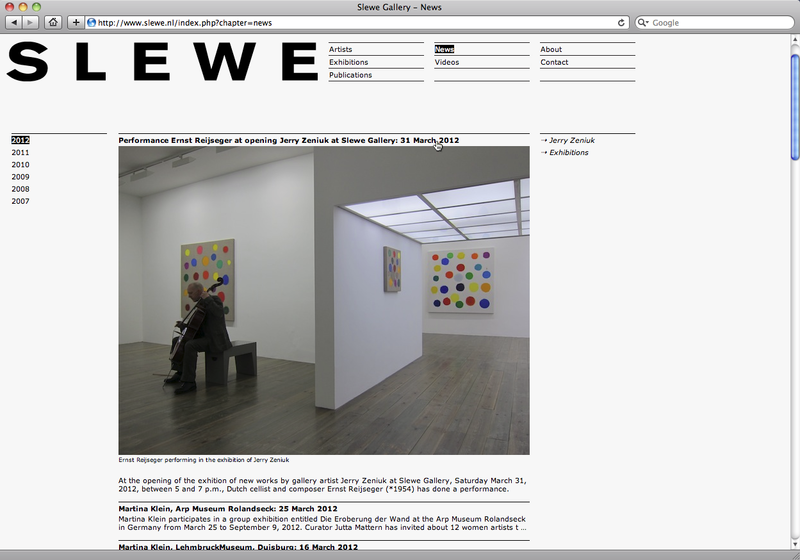 More images are revealed through swiping. 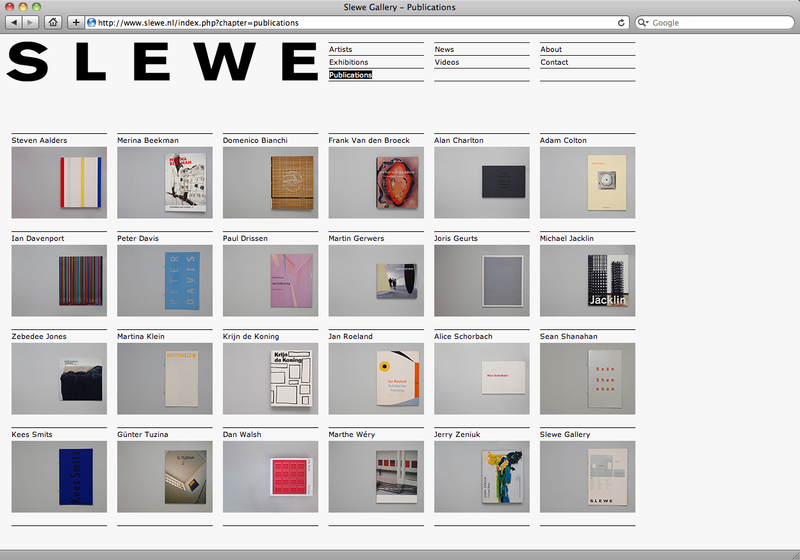 The catalogue of books published by the gallery. 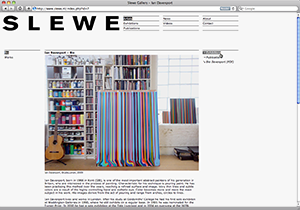 News items are presented in an accordion layout. 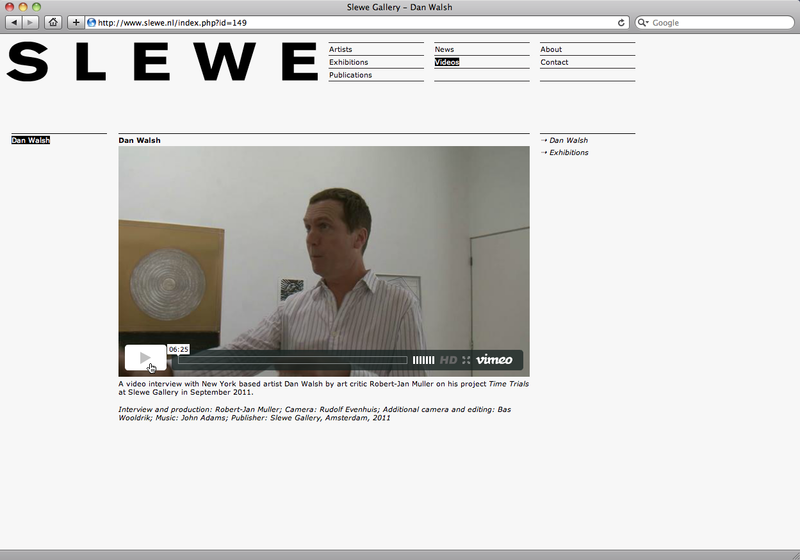 Every exhibition is introduced with a video interview with the artist.